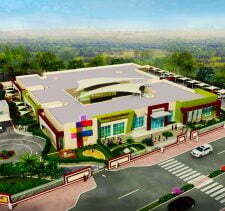 A school to watch with very significant promise. Outstanding care of children - and one of the most exciting and inspiring stories of genuine investment in children in recent years. 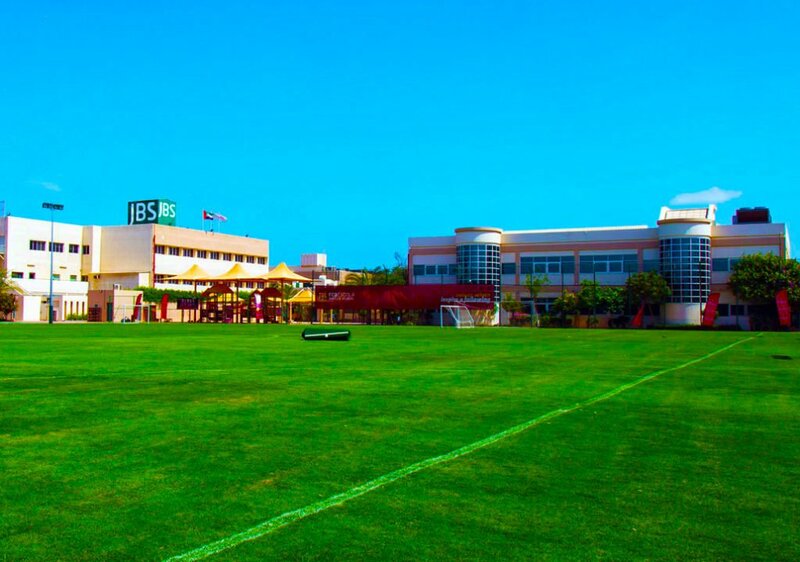 Spread over 8 acres of landscaped grounds, and in one of the best locations in Dubai, Taaleem’s Jumeira Baccalaureate School [JBS] is one of the flagship International Baccalaureate [IB] schools in the Emirates, with facilities and IB programmes competing with the best in Dubai. The IB World school provides an inclusive, co-educational education to just 791 children between the ages of 3 and 18, through Pre-K to Year 12 grades, with complete IB provision across the IB Primary Years Programme (PYP), IB Middle Years Programme (IB MYP), Diploma Programme (IB DP), and the IB Career-related Programme (IB CP). Jumeira Baccalaureate School provides a slipstream for all of the three Taaleem “The Children’s Garden” nurseries at Jumeirah 2, Al Barsha 2 and Green Community who receive priority places into Grade 1 at JBS. All this tells you relatively little. 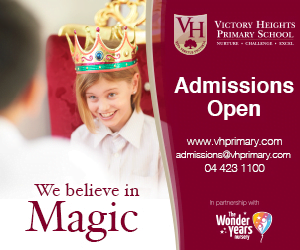 The real story here, simplifying, is that this is a school that is absolutely outstanding in its own terms – and is a real showcase for the extraordinary achievement of its Principal, Richard Drew, and the investment of its owners, Taaleem, over the last three years. We have not seen this sort of scale of progress and investment in children for a long time. By way of background, this is an extremely inclusive school, one deeply committed to welcoming children of all abilities – and providing them with an education that exceeds their projected international flightpaths. The majority of children are Arabic or Emirati, and many come to the school with English as a second language. What Jumeira Baccalaurate School has done over the last three years is extraordinary. They have very significantly reduced child numbers so that all children get much more attention. They have increased relative teacher numbers to support this too.Rather than cutting costs, they have dramatically invested in children. Richard Drew over three years has ratcheted up the progress children make, beyond expectation. Achievement in English is astonishing – absolutely outstanding. Taaleem in this school deserve so much credit. Richard Drew too, has brought Teacher turnover down to the lowest rate in the school’s history. A test of a Principal is to get the right teachers, the very best for children (and this often involves losing some that do not fit on the way) – and then keep the best through outstanding leadership and investment in them. Children need continuity. The impact on children of ever changing teachers cannot be underestimated – and Mr Drew has recognised this. So if this is the structural background, so too the curriculum is broad and designed to meet the needs of all children. 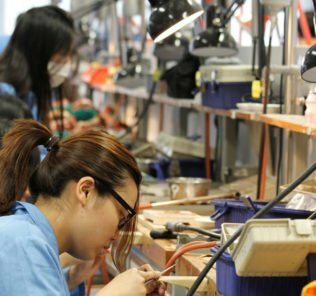 In an International Diploma school this would seem impossible – but there is heavy investment in the outstanding Career-related Programme (in this case in the Technology BTEC) so that children have a choice of programmes best suited to their aspirations, potential, gifts and abilities. This is such a different school to that we looked at three years ago – and one absolutely, in our view, deserving of its current Very Good with Outstanding features rating from the KHDA, the Dubai Inspectorate of Schools. We would still like to see better transparency in the publication of results. An inclusive school will never achieve the sorts of results an a academically and SEND selective school one will. Many schools too limit their Emirati intake deliberately to avoid the challenges of second language learners showing up in their results Jumeira Baccalaureate School does none of this. Jumeira Baccalaureate School is one, in distinction, that is outstandingly inclusive – a very different proposition. On its own terms it compares more than favourably with these schools because of the added value it brings to the education of children. We would like to see full results published, including percentages of children who do and do not sit for the IB qualifications. These must then be read in the context of the outstanding progress children make at this exceptional school. Again, we would like to see much more information about the academic programmes at the school. It is so much better today, but it could be even more so. 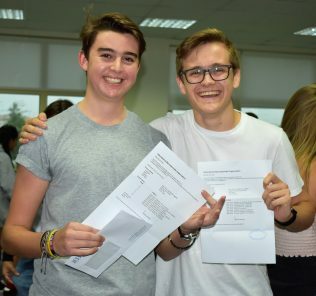 We think that Jumeira Baccalaureate School could much better celebrate with parents its stand-out extensive IB provision which maps very closely onto the school’s genuine commitment to be inclusive. We are exceptionally impressed by the school’s provision of the International Career-related Programme (IB CP). 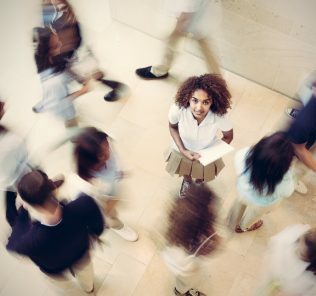 One of our issues with the IB historically has been its impact later on lower to mixed ability children in pushing them to its flagship IB Diploma programme – which whilst hugely impressive and academically stretching, clearly does not meet the needs of a significant number of less academically able, but equally otherwise talented students. The IB CP programme resolves this, delivering an extraordinary, hugely inspirational programme of inclusive study that takes the best of the IB Core, adds moderated IB academic subject choices, and a more relaxed, kinder approach to language study, and then provides students with a vocational qualification (in this case BTEC technology) much better suited to the gifts of many children as its focus. This is an area of provision that JBS deserves significant acclaim for providing. 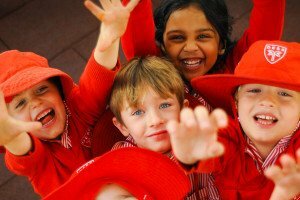 Prospective parents should also be aware that the Primary Years and Middle Years IB programmes at Jumeira Baccalaureate School are both intrinsically inclusive. There still remains a worry, unfounded, that IB schools are only for academic children. The IB Diploma excepted, this is resolutely not the case – both Primary and Middle Years IB programmes are inclusive at their core – and when delivered effectively, provide all children with the opportunity to develop their gifts and talents, whatever their ability. As above, our core frustration is that not all IB schools are the same. Parents need to understand how, in detail, Jumeira Baccalaureate School delivers, how it innovates, how it makes each programme its own. It does all these things – but could explain all this so much better. Facilities at Jumeira Baccalaureate School are Tier 1 across sporting and academic provision, distributed across its four main buildings (a dedicated Primary block, the J Building; a Grades 3 -5 ‘BACC building’; a combined senior school and library block, ‘the Library Building’; and a shared multi-facility across sports, music, performing arts and academics with rooftop tennis courts, ‘the S Building.’ Facilities stretched across each include, a whole-school digital campus; fabulous multi-purpose auditorium and elementary gym; central and Primary libraries (the latter with a media centre); (sound proofed) music rooms; digital design classrooms; drama studios and spaces; visual arts studio; music practice rooms; multiple internal and (shaded) external play areas for Pre-K and younger children; Primary PE Hall; Health Centre; Prayer Rooms; multiple Science Laboratories by subject specialism; language centres; product design studio; cafeteria; dance studio; and established, inspiring landscaped grounds that can be enjoyed by the whole school. Jumeira Baccalaureate School sports facilities include a FIFA spec flood-lit grass football pitch; 25M shaded swimming pool; two large gymnasiums, Senior indoor sports hall; basketball courts, two roof-top tennis courts (above). 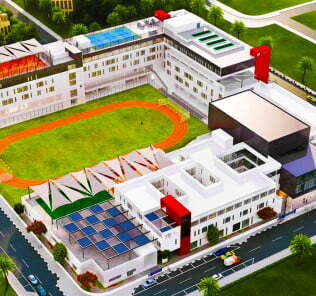 Whilst Jumeira Baccalaureate School lacks the bells, whistles, metal, chrome and architectural innovations of the ultra-premiums, functionally it matches their provision – a defining feature of Taaleem schools is to focus investment on spaces that work (light and airy) and facilities that meet student need, potential and aspiration. Given that the school, excepting its new buildings, are in many cases some 40 years old, the general feel of provision is an impressive balance of huge warmth and the state-of-the-art that new builds cannot match. ECAs at Jumeira Baccalaureate School are equally impressive ranging from the spectrum of sports (cricket, football, swimming, tennis, rugby, volleyball, basketball, badminton, …) to clubs for Arabic; the Quran; dance; LEGO Robotics; guitar; Yoga; “Rock Choir”; Arabic dance; drama, Chess; cooking; Spanish; Manga; kick boxing; rugby; “Desert Dance”; choir, public speaking, Model United Nations, The Duke of Edinburgh Award; French; Student Council; and, the Scholars Cup. There are annual camps for Primary and Secondary students and overseas options for Secondary students. It is worth noting that in one area of school transparency Jumeira Baccalaureate School is to be applauded, in publishing the names of all staff, faculty and otherwise. 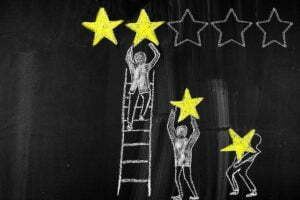 This recognises that an outstanding school is the work of many, and not just leadership – and also serves to build staff retention. We wish that all teaching staff, not just school leadership, however, had the opportunity to provide bios and photos as is best practice with the most transparent schools. KHDA inspections have consistently until now rated Jumeira Baccalaureate School a “Good School” with Outstanding features. Latterly these have included exceptional whole child development; outstanding links with parents and genuinely impressive, accountable, investing and committed school governance. Even prior to its new Very Good rating, JBS was scoring Very Good or Outtanding in 27 out of the 41 non-student achievement areas graded by the KHDA. Very creditably, the KHDA today is increasingly now recognising inclusion and progress as a truer measure of a school’s performance for its children. We think, if Mr Drew and Taaleem can hold their nerve, that there is an Outstanding school here in the making. We would very much like, in this context, further IB CP BTEC options being provided for children. 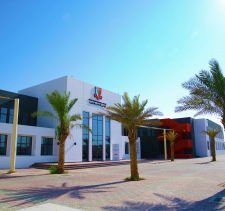 Certainly, where the real costs of any school lie too, investing in staff – their number and calibre, Jumeira Baccalaureate School delivers with its focus on recruiting (and retaining) predominantly (expensive) British faculty and maintaining small class sizes (between 15 and 25 students) with an outstanding 1:9 student: teacher ratio. 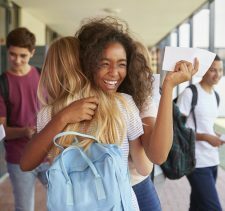 Everything is in place now to secure the continuity of (outstanding) school leadership Jumeira Baccalaureate School has so needed after a period of considerable flux. The curriculum today is structured to meet, and deliver to, the needs of all of its impressively inclusive intake. 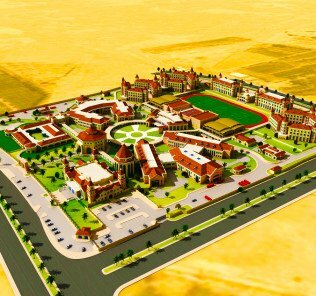 Jumeira Baccalaureate School has the hard part out of the way – JBS clearly has a story to tell, it just needs now to actually tell it to the prospective parents that need to hear it. The trajectory now, with these in place, is towards realising the potential of a KHDA Outstanding school clearly in the making. Mr Drew, Taaleem, parents – and Jumeira Baccalaureate School children should feel so proud of what together they have achieved. Jumeira Baccalaureate School is an outstanding school and one that comes very highly recommended.